Imika Tariru comes to Europe to share the ancestral way of thinking of the Tubu people. The community Tubu used to live in the Apaporis riverside, in the Amazon between Colombia and Brazil, since the violence of the conflict displaced them more than ten years ago. Imika and his family moved to Bogotà, starting to share with the world the healing knowledge of the Tubu community and their commitment to the social change. 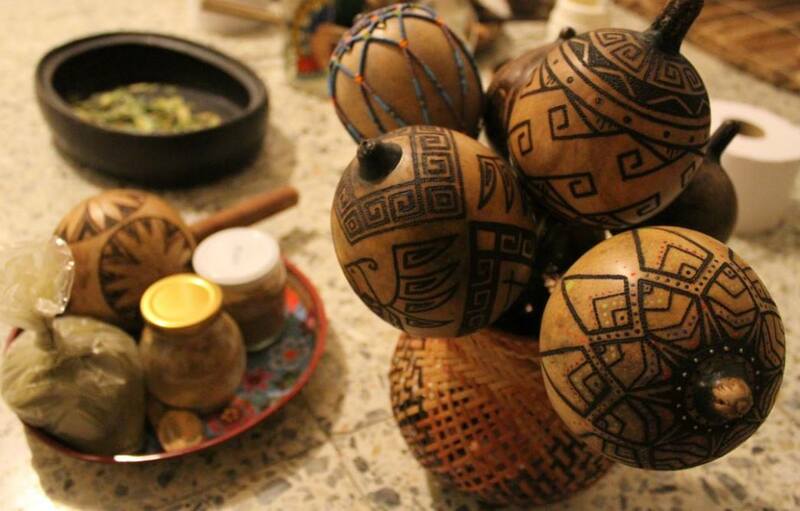 Imika Tariru is bringing for the first time in the Netherland the mambeadero, i.e. a circle of living words. The latter is a typical talk, which Tubu community uses to heal and share its knowledge. The talk is oriented toward the importance of working in community, the value of meeting “the other” with tolerance, without hurting, seeking the exchange of knowledge with equality. Imika will introduce the most important holy plants in Tubu traditions, sharing the typical songs that accompany their usage and providing some of them. Through speech, songs and dance Imika will explore the concept of power, knowledge, disease, and healing from the Tubu perspective. Imika aims to foster awareness about the cultural dimension in ancestral plant consumption, about the importance of collective strategies that allow walking along in community, as well as the healing power of speech. Please bear in mind that the main language of this event will be Spanish - there will be an attempt to do self-organised translation if enough people are available for this.